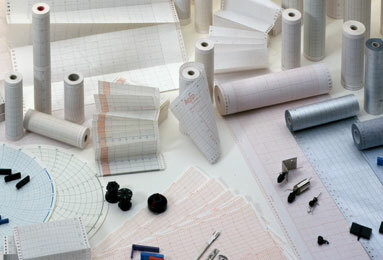 TechMed Charts is a major supplier of Medical, Industrial and Marine recording charts. With over 60 years’ experience in industrial and medical markets in the UK and with our European CE-certified manufacturing partnership we can offer our customers high quality products and excellent service giving customers the benefit of our vast knowledge in the market. Our modern warehousing facility is strategically based in the South East of England with easy access to major transport links to all parts of the UK, Europe and beyond. We supply medical and laboratory recording charts and accessories for patient monitoring, birth control, clinical investigation and many other applications within the medical industry. Archival-grade paper is also available on request. Our medical recording charts play a key role in a number of different areas of healthcare provision: for monitoring x-rays and ultrasound, in cardiology, urology, ophthalmology, and in A and E departments. With the support of our European CE certified manufacturing facility, we are able to supply NHS trusts, private hospitals, ambulance services, clinics, surgeries, Original Equipment Manufacturers, Medical Distributors and Wholesalers throughout the UK, Europe and the rest of the World. TechMed specialise in the supply of high quality recording products and consumables used in veterinary practices and educational groups throughout the UK and Europe. TechMed Charts are able to supply an extensive range of recording chart products, writing systems and associated accessories at competitive prices. Oil & gas, Marine, Aerospace, Dairy, Abattoirs, Distillery, Environmental laboratories and research, Food processing, Forensics, Pasteurisation, Pharmaceuticals, Steel, Automotive, Temperature measurement and Waste & water controls. 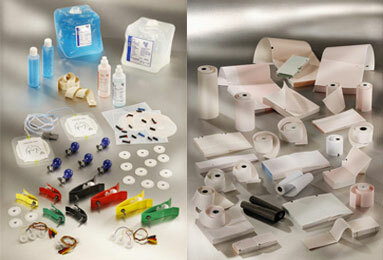 We can supply to industrial distributors, end users and original equipment manufactures (OEMs) around the World.